This post is in partnership with Pure Leaf. When it comes to food “trends,” I’m usually so late to the game. 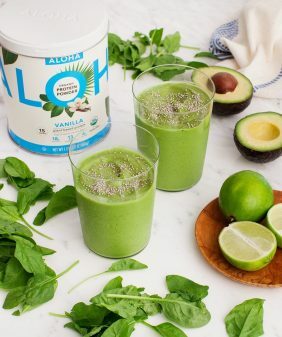 Chia pudding, smoothie bowls, cauliflower smoothies… I didn’t see any of those foods coming and staying (to be honest the cauliflower smoothie thing still sounds a little gross to me). 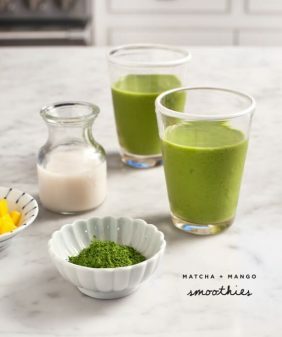 But matcha… I’ve been loving matcha before it was the cool thing to love. Step 1: Bring 8 oz. 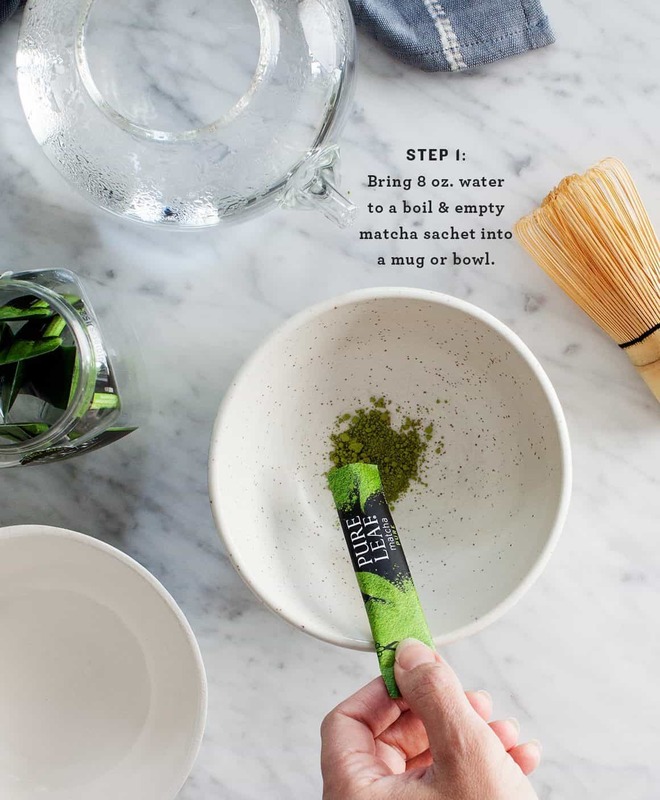 of water (or a mix of water and nut milk) to a boil and empty your matcha sachet into a mug or bowl. Step 2: Pour just enough water (2 oz.) over the serving of matcha to blend. Step 3: Whisk until matcha is fully dispersed and there is a foamy layer on top. 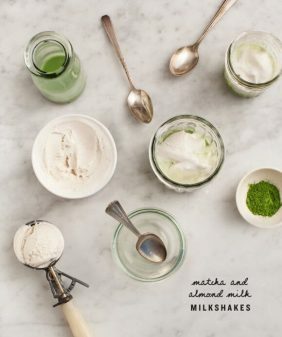 A matcha whisk is ideal, but you can use a small regular whisk if you don’t have one. 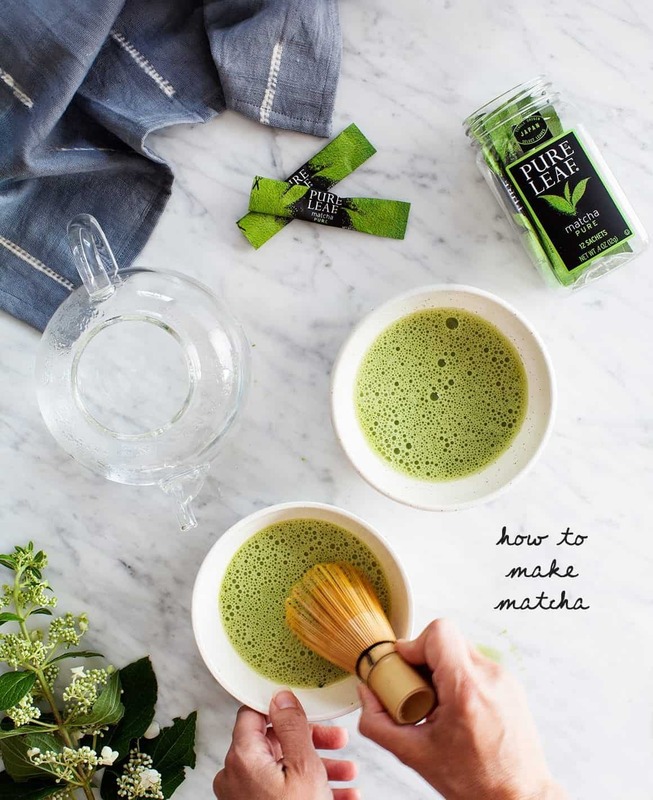 To get your matcha to foam, whisk briskly from side to side (not in a circular motion). Step 4: Add remaining 6 oz. water (or steamed almond milk like I did!) and whisk again until foamy. You can use steamed almond milk or coconut milk (like I did) in lieu of the second addition of water. 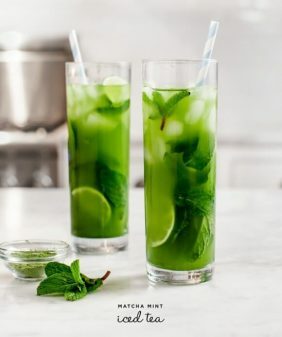 I often like mine with sweetened vanilla almond milk, and if you’re a newbie matcha drinker, you might want to try it this way until you acquire the somewhat bitter taste of matcha. This post is in partnership with Pure Leaf Tea. Oh I need to look for their packets! Love your photos! 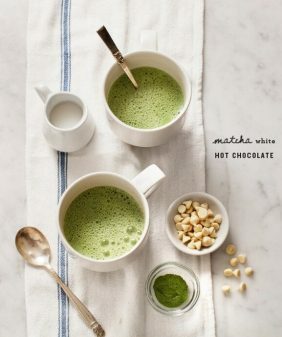 I’m betting that matcha does not come in decaf – and unfortunately I can’t do caffeine. It’s still nice to know how to properly prepare matcha, though. I have to agree with you about cauliflower smoothies. I love cauliflower, but I don’t care at all for green smoothies. I didn’t realize it had caffeine! Bummer. I too have to avoid caffeine. I am so so late to the matcha train and want to be on board. You have me convinced!! Do you ever add it to smoothies or when baking? yes – I especially love it in smoothies! I used a battery operated milk frother to whisk and it made this matcha-latte very homogeneous and foamy. Thank you for the recipe! LOL, had to share that a little frozen cauliflower in my smoothie is my favorite! It doesn’t change the flavor at all in my opinion and I love getting the extra bit of vege in my diet. 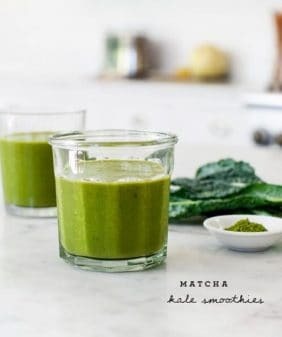 Matcha should not be mixed with boiling water. Wait until it cools in the bowl a minute then place the matcha which will retain all vitamins and EGCG.